International consultant, renowned CEO trainer, popular keynote speaker, and author, Usman A. Ghani is CEO of ConfluentC, LLC, and AIMS, LLC; organizations that assist businesses and nonprofits of all sizes in integration and transformation. Applying fresh thinking and refined dynamic business models to reveal the best solutions to complex challenges, Ghani leads powerful leadership development and team-building programs for corporate America and worldwide businesses. His CEO training teaches leadership by implementing his holistic approach to the dynamics of business, governance, and strategy. An adjunct professor and advisor to the Dean at the University of Texas at Dallas School of Management, Ghani is a featured author of The Leader of the Future 2, a best-selling business book of 2006. He has authored Dynamic Governance, a book that takes a holistic approach to the dynamics of corporate governance. 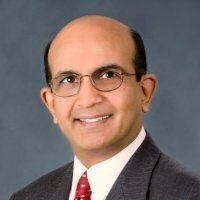 He is also author of InteGreat, a forthcoming book that provides Ghani's deep insights into topics that include the Leader Integrator, Dynamic Governance, Dynamic Innovation, Integrated Strategy and Conscious Confluence. Specialties: CEO trainer, executive educator, consultant, and keynote speaker in the areas of Sustainability, the Dynamics of Governance, Dynamic Innovation, Integrated Strategies and Conscious Confluence.